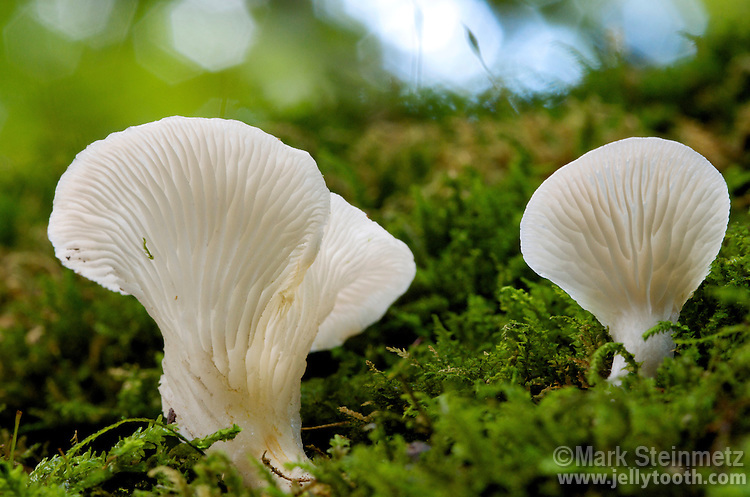 Anglel Wings (Pleurocybella porrigens). Considered by many to be a good edible. Late fall blooming species similar in appearance to the common oyster mushroom, but typically much smaller. Fruiting on Hemlock. Hocking State Forest, Ohio, USA.